Samantha’s love of fossils and dinosaurs goes back to her youth growing up with petoskey stones in Michigan and visiting museums with her family. Her love of the earth and museums inspired her to earn her degree in Environmental Geology from the University of Michigan and her Master’s in Museum Studies from the University of Colorado at Boulder. 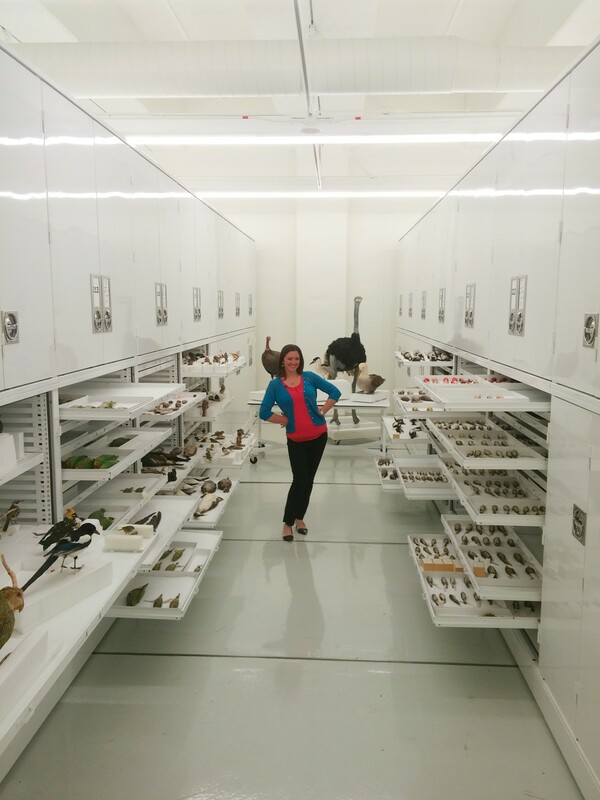 In 2010 Samantha found her dream job teaching about dinosaurs and fossils and space in a super cool Museum and joined DMNS. Previously Samantha worked at the Molly Brown House Museum and the Paleontological Research Institution and its Museum of the Earth. At the Denver Museum of Nature and Science, she is the educator for Prehistoric Journey and Space Odyssey. From fall of 2010 to summer of 2011, Samantha participated as the lead educator in the Snowmastodon Project™. In the fall of 2010, Samantha saw 8,500 school students in just one week in the Roaring Fork Valley and thus earned the nickname “Samammoth.” In her time away from the Museum, Samantha enjoys baking, dancing and playing outside with her 2 year old son Cooper. Samantha is visiting Marmath to assist in filming a new video for Prehistoric Journey about current research in the K/T boundary. Samantha’s favorite dinosaur is the Jurassic Stegosaurus but she is excited to spend a few days getting her hands dirty in the Cretaceous this summer.